In the early 1980s, a dramatic change in IT began to reshape how businesses use technology. Distributed computing spawned a myriad of new capabilities, but it also increased complexity. With this complexity grew an atmosphere of friction between Development (those who create technology) and Operations (those who run and maintain technology). Until recently, this friction was painful but tolerable. It is tolerable no more. Development (Dev) and Operations (Ops) must join forces and collaborate as true friends, not foes, since they share the common enemies of complexity and time. 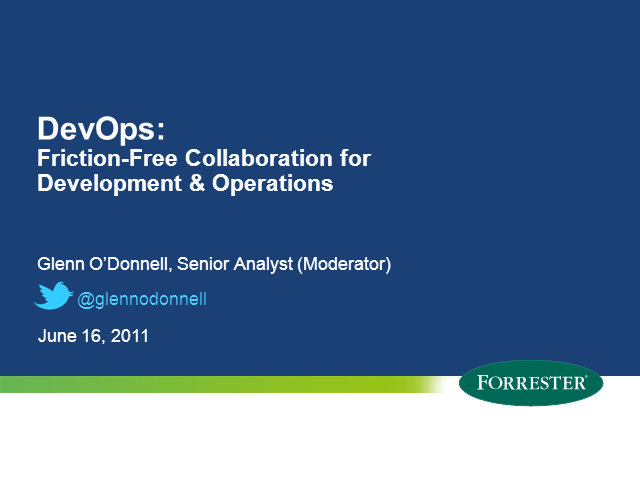 The new movement called DevOps is intended to tackle this very issue. Learn from a panel of DevOps leaders what DevOps is all about and how you can participate to help drive business technology faster and more reliably. Why bother? Business leaders are demanding better cooperation and threatening consequences if we fail.